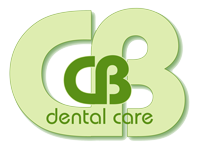 We are Chris Bird Dental Care Limited, operating at 107-109 Walsall Road, Cannock, WS11 0HP. We are responsible for keeping secure the information about you that we hold. Those at the practice who have access to your information include dentists and other dental professionals involved with your care and treatment, and the reception staff responsible for the management and administration of the practice. Our data protection officer (Dawn Williams), ensures that the practice complies with data protection requirements to ensure that we collect, use, store and dispose of your information responsibly. You can contact our data protection officer, Dawn Williams, by email at info@chrisbird-dentalcare.co.uk or by phone on 01543 573377.
the legitimate interest of ensuring the quality of the treatment we provide. care and allows us to meet legal financial requirements. statutory forms to allow payments to be processed. This is an NHS requirement. you received for quality control purposes. information. If this is not possible we will inform you and discuss your options. maintain confidentiality and follow practice procedures to ensure this. and effectively. Our computer system has a secure audit trail and we back-up information routinely. we keep your information securely. information (for example some contact details) before the end of this period. All requests should be made by email to our data protection officer @ info@chrisbird-dentalcare.co.uk.